Studies show spending time with pets could actually improve kids' health as they grow up. Many parents are concerned about the impact pets may have on their young children’s health. We all know animals can carry germs around with them – and your beloved family pet is no exception. It’s been well documented that kids under six could face an increased risk of becoming ill from contact with animals, as their immune system hasn’t fully developed yet. Young children have also been found to be more likely to wipe their faces and lick fingers after touching a pet, making it easy to transfer germs from the animal to the child. However, recent research is now challenging the idea that pets can hinder a child’s wellbeing. In fact, many studies suggest that spending time with animals from a young age – particularly as an infant – could actually benefit a child’s health. One study published in the Journal of Pediatrics found that infants who grew up around animals were actually less likely to suffer from infectious respiratory illnesses than those who didn’t. 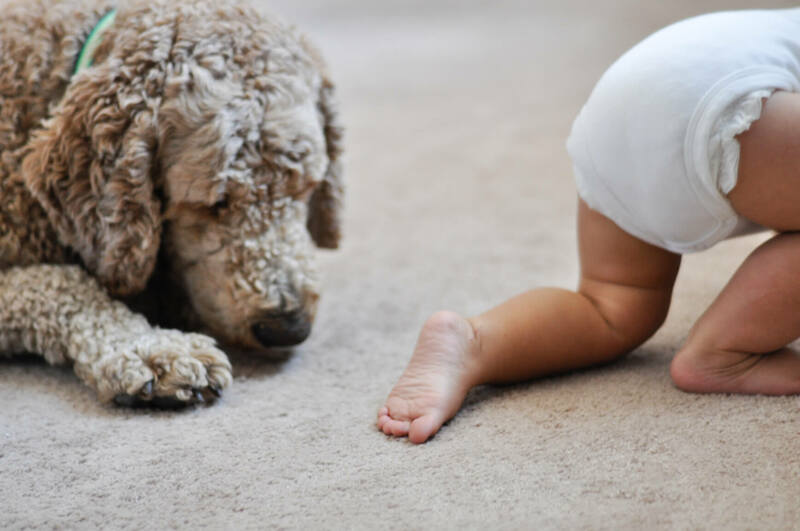 Specifically, babies who were exposed to a cat or dog during their first year since birth were less likely to catch colds, experience ear infections and require antibiotics than those who lived pet-free. "Babies who were exposed to a cat or dog during their first year since birth were less likely to catch colds, experience ear infections and require antibiotics." Additionally, similar research looked at the effect exposure to cats and dogs from birth had on a child’s sensitivity to animals later in life. They found that teenagers who had an indoor cat during their first year from birth were less likely to be allergic to cats at the age of 18. And males who had an indoor dog as infants were half as likely to be allergic to dogs at 18 years, compared to those who didn’t. Exposing babies to dogs and farm animals has been found to reduce their risk of asthma, according to a study published in JAMA Pediatrics. The research showed that having contact with dogs during a baby’s first year decreased their risk of developing asthma by 13%, and exposure to farm animals during the same time period decreased their risk by a whopping 52% . “Research clearly indicates that there could be numerous benefits to exposing young children to animals – both medically and socially. "However, despite this it’s essential parents are equally aware if the risks, and ensure young children are closely supervised when engaging with animals to mitigate the risk of both the spread of germs and children getting injured when dealing with unpredictable animals."